Mike Waters and I, toting Sharpies and copies of our book. After the first book, if you’re lucky enough, comes the first book-signing event. My special occasion arrived Saturday, at Columbus Circle in downtown Syracuse, as big crowds filled three city blocks during the annual Arts and Crafts Festival. 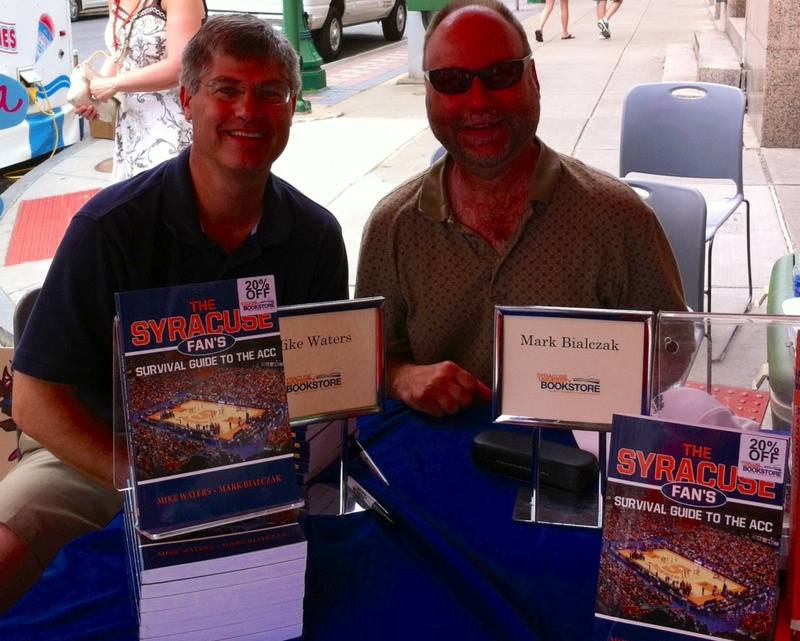 I sat next to Mike Waters, my veteran co-author who’s written a tidy and growing number of books on the subject of Syracuse University basketball. At our sides were fellow writers from Central New York invited for the occasion by the very nice folks at the SU book store. We all had nice-sized piles of our various books in front of us. Fest-goers were invited to step inside the shade of the tent to chat. Buy a book, and we grabbed our Sharpies. Several of my best friends in life put it on their schedule to come downtown to share in my happiness. Thank you, thank you, thank you. Mike had special visitors, too. I loved meeting them. The most popular: How do we think Syracuse will do in this first season of the ACC? In football, the first major sport in action: I think they’ll work hard, win at least half their games, and make a bowl game under first-year coach Scott Shafer. In basketball, the equally major sport: Mike, the beat writer for the big daily, thinks Syracuse will be one of the best teams in the top-notch ACC. Maybe even the best. I won’t argue that point. We both agree that the Carrier Dome will be rocking for that first Saturday in October when Clemson visits for the football team’s first ACC game, and whenever Duke and North Carolina come north for basketball. Only one fellow carried the acute bitterness of a Big East fan jilted. He just can’t get over all those basketball rivalries going down the garbage chute. I believe he uttered the school name Georgetown more than once. He did not buy the ACC-themed book, not even when I suggested he might feel better if he torched it in his fireplace. Mike and I have other signings in the talking stages with the SU bookstore, on campus at FanFest and a couple of football Saturdays, pre-game on the quad. We’ll also appear at Barnes & Noble on Erie Boulevard East in DeWitt the Thursday night prior to the Clemson contest. I’ll send out FB messages and Tweets to remind you. 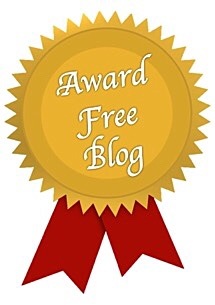 If you’re not already, come along on the ride as friend and follower.